Associate Professor David Schuster received a National Science Foundation (NSF) Faculty Early Career Development Program Award in 2015 that is helping to fund his research on human cognition in cyber defense. In 2017, he received SJSU’s Early Career Investigator Award, and he has co-authored more than 30 papers in journals, edited books and conference proceedings. 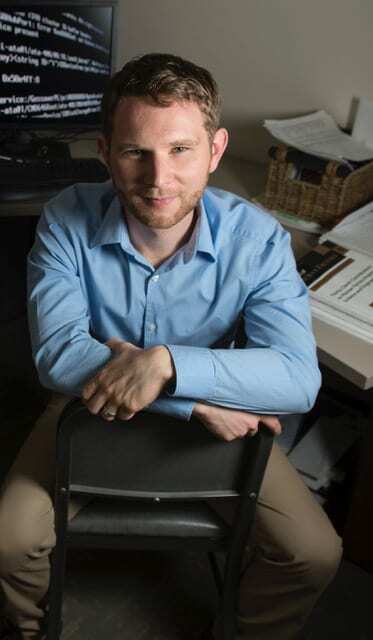 He manages the Virtual Environments, Cognition and Training Research Lab, in which he has mentored almost 50 students. “Seeing students present their research is always a great moment,” he said. Schuster is a co-investigator on an NSF-funded technology pathway program that led to a minor in computer programming for College of Social Science majors and is also co-advisor for the Human Systems Integration minor.